Reflect on the past year and all the well wishes you’ve received from family and friends with these 5 tips and ideas for keeping special cards and notes. Happy New Year friends! As you celebrate the start of a fresh new year, many of us are creating resolutions to get more organized this year. One way you can get organized and also reflect on the past is by going through all the cards and notes you kept from family, friends and other loved ones over the last twelve months. Today we’re sharing 5 tips and ideas for keeping special cards and notes. I don’t know about you, but the start of a new year always makes me a little sentimental. I enjoy looking back on the changes in my life from the past year as well as the goals I achieved (or didn’t!). Often times, these milestone events come with special cards and notes from family and close friends with well wishes and words of encouragement and kindness. Throughout the year as I receive Valentine’s and Mother’s Day cards from my boys, birthday cards from friends, an anniversary card from my husband, etc. I toss them in a basket on our kitchen counter or in our office. Then at the start of the new year, I gather all the old cards from the past year and put them away for safekeeping using a method I learned years ago from my friend, Misty. 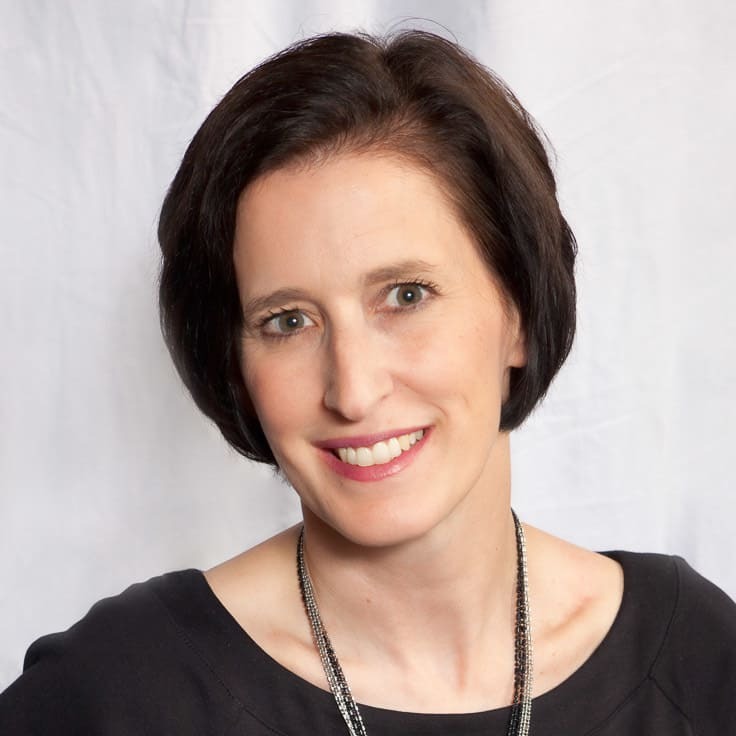 These are the 5 tips and ideas for keeping special cards and notes I learned from her. Pour yourself a cup of tea, a mug of coffee, a glass of wine or your favorite beverage, put on a little relaxing music and read through all the cards you kept last year. Savor the kind words, accolades and encouragement your loved ones have bestowed upon you this past year. Some may make you cry. Others will make you laugh until your sides ache. Either way, it can be cathartic to relive those big moments from the last 365 days. As you’re going through the special cards and notes, start sorting them into piles and keep only those that are the most precious. I think of it as “The Rocking Chair Test”. Once these cards get stored away, I probably won’t look at them for years or maybe even for decades. Will the card I’m holding now mean as much to me when I’m 80 years old sitting in my rocking chair reflecting back on my life? Will I even remember who it’s from or the story that goes along with it? If the answer is no, the card gets tossed aside into the recycling pile. I always keep the special cards and notes with long or heartfelt handwritten notes. I also keep the cards with sentimental printed messages or inside jokes as I know the sender spent time choosing the perfect one that matched the occasion. I also keep the holiday photo cards I received from my closest friends and family members. If I received any special e-mails throughout the year, I might print those to save too. I throw away or recycle any that have just basic messages and a quick signature. Once I have a pile of special cards and notes I want to keep, I put them into a nice tidy stack. Then I tie them up with pretty ribbon like a package. If the ribbon is long enough, I’ll even make a bow. This makes the special cards and notes look more like a present. After all that’s what they truly are, right? — a precious gift from your nearest and dearest! Write the year and what this bundle is on a sticky note or index card and slip it under the ribbon. This will help you remember when you’re sitting in the rocking chair going through them again when you’re 80! I often like to put a copy of our own family Christmas card from the year near the top of the stack before I tie ribbon around it for this reason too. 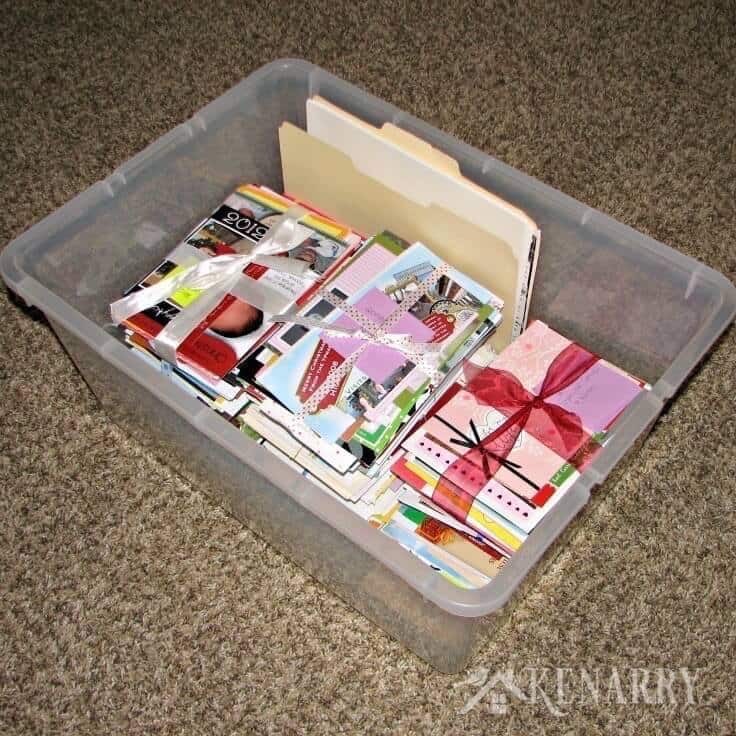 Last, but not least store your bundles of special cards and notes in a large plastic tote or bin. While I sincerely hope your storage room or basement never gets flooded, you’ll want your cherished keepsakes to be protected from water damage, just in case. If you really want them to be well protected, you could also consider putting the MOST precious of the special cards and notes in a fireproof/waterproof safe. 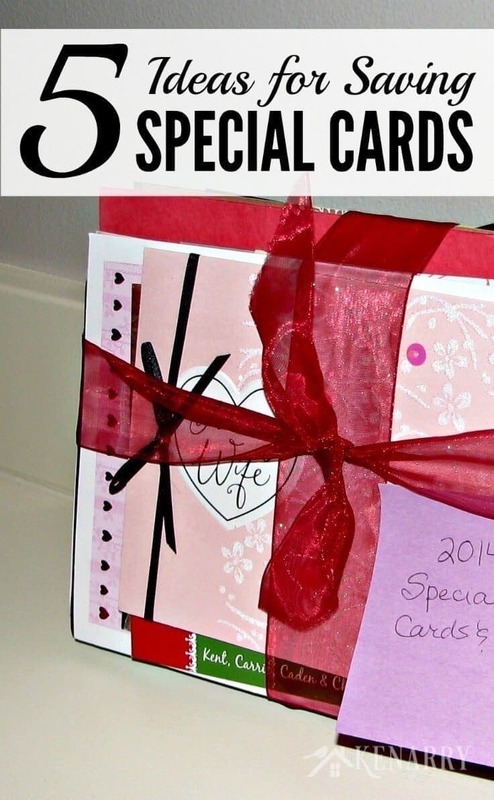 With these 5 tips and ideas for keeping special cards and notes, your efforts to save them today will bring back so many memories for you in years to come. Many of those cards and notes may even become cherished family heirlooms for your children and grandchildren. You won’t regret it! 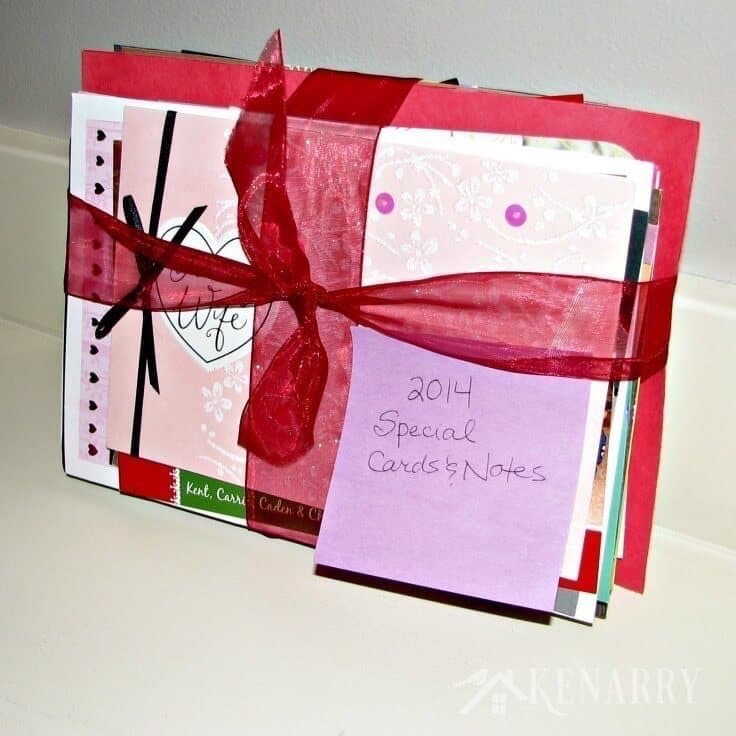 Do you have other great ideas for keeping special cards and notes from the past year? Please comment below and share. We’re always looking for new ideas. I know I need to get a little more organized this year. I’m working in that though! These are great ideas, I have a few cards I’ll never be able to get rid of. Leslie, a new year always makes me inspired to get organized too! Hope this gives you an easy way to save your sweet and precious cards. Mary, that’s brilliant! I love the idea of turning them into a mini-scrapbook. It would definitely make it easier to flip back through the cards to reminisce. Thank you so much for sharing! As always, I love all your ideas. But I love “the Rocking Chair Test” ~ that is the best way to decide if you really need to keep a card! Awwww, you are so sweet Ashley! Glad you like “The Rocking Chair Test”. It’s a fun one, isn’t it? Thanks for visiting from The DIY Collective. I love this! We’re not a huge card family, but some I do like to keep, especially ones to my son in his first year. Thaanks for sharing how to decide which to keep! There are always a few that are extra special, right, Morgan! I definitely have several from when each of our two boys were born – such sweet reminders of that special time. Great tips! I have a bunch of cards laying around our house from birthdays and such, I really need to do something about it. 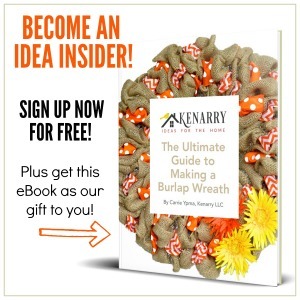 This would work great for all those birthday cards, Stephanie! I have been working on cards from the past and wish I had organized them all each year as you are doing. I’m putting them in page protectors in ring binders. I completed my adult daughter’s and gave it to her. Oh Bonnie, what a special gift that must have been! I bet your daughter was thrilled to get the book you created with all those sweet cards and notes you’ve saved over the years. Mollie, sometimes I worry I save too much which is how I came up with that “test” to begin with! Thank you so much for visiting us from your link party.